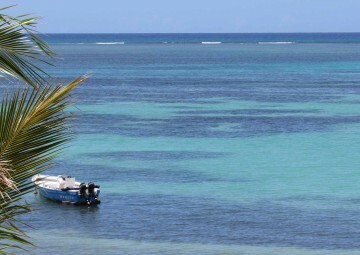 Are you planning to explore Port Louis, the capital of Mauritius? Read here where and when to go and what to do! Take the bus to Port Louis on a Saturday. Taking the bus is an experience by itself. 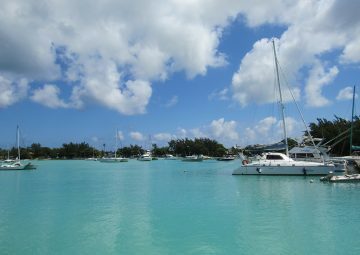 Port Louis can be reached well by bus from all kinds of villages and cities, so the best opportunity to experience a bus ride is by going to Port Louis. Make sure you will go back at around 6pm, because you won’t find buses in the evening. We explain later why you should go on a Saturday. When getting out of the bus go and visit the central market in the Farquhar street. 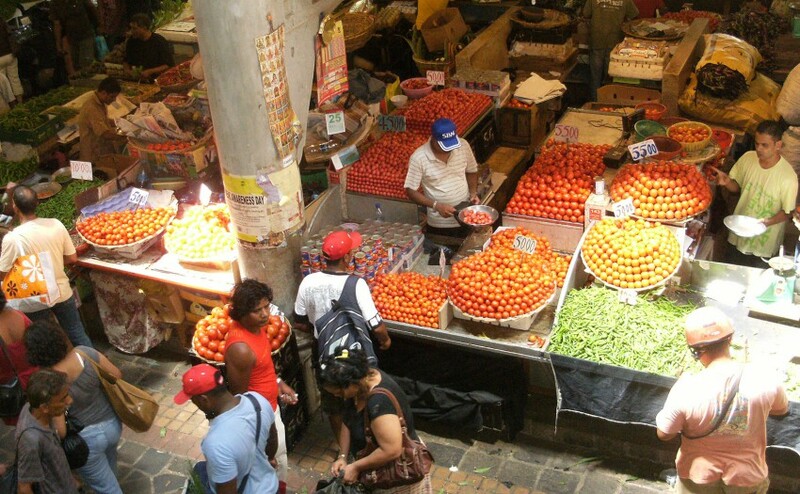 You will find all kinds of fruit and vegetables at this market and on the first floor you can buy souvenirs. It can be very busy so beware of your belongings and make sure you always bargain if you want to buy something. It is an experience to see this market in Port Louis. After the fruit and vegetable market walk to the waterfront. Over there you will find Caudan shopping centre. You can go here for lunch and have a look around. 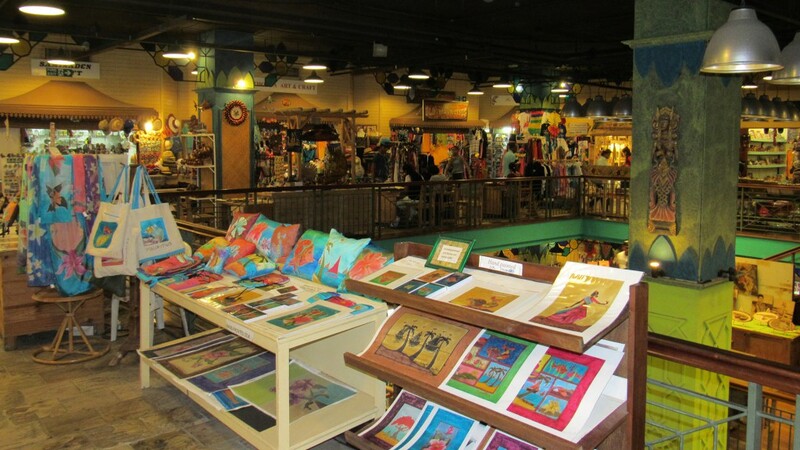 If you are interested in buying souvenirs or Mauritian art, take a look at the shop ‘Le craft market’, also located at Caudan waterfront. After your lunch at Caudan waterfront go have a walk to the horse race field. 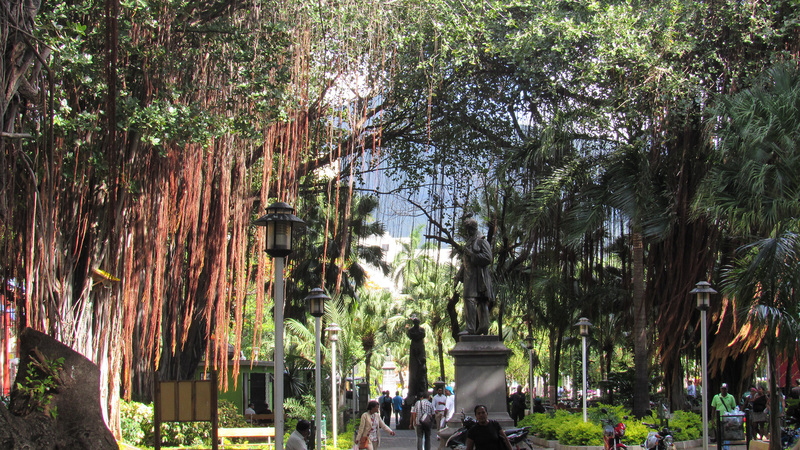 On your way to the horse races have a stop at the ‘Jardin de la Compagnie’, a parc with beautiful banyan trees in the street La Chaussée. You will find the horse race every Saturday from March until December at the Champ de Mars racecourse. The horse race in Port Louis are still very famous and on Saturdays many local people come to the horse race. As a tourist it’s an experience to watch the horse races and the enthusiastic locals. On the way back from the horse races go and relax at Lambic, a restaurant and beer bar in one! At Lambic you will find a big range of beer from all over the world! Still not tired? Then go back to Caudan waterfront to go to the casino or have another drink at a bar which you can reach by boat from Caudan waterfront. The name of the bar/hotel is called ‘Le Suffren’ and it’s a good place to socialize during the weekends. 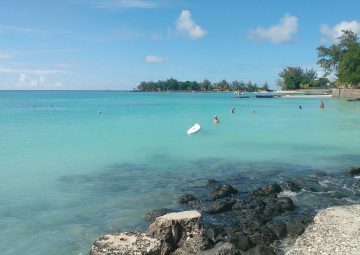 Enjoy your day in Port Louis!